We’d love your help. Let us know what’s wrong with this preview of Behave by Val Mullally. 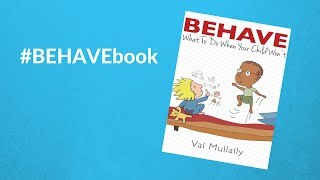 To ask other readers questions about Behave, please sign up. The main goal of the book is to improve ones parenting skills by connecting better with your child. It focuses on the parents reaction (response) to the childs behaviour and explains steps from both the childs and the parents view. The "steps" (if you can call em that) get acronyms to make them more memorable and are described with little stories and exaples. The book is well structured, the chapters build on each other and it reads well. Good for parents is that it is short (only slightly more t The main goal of the book is to improve ones parenting skills by connecting better with your child. 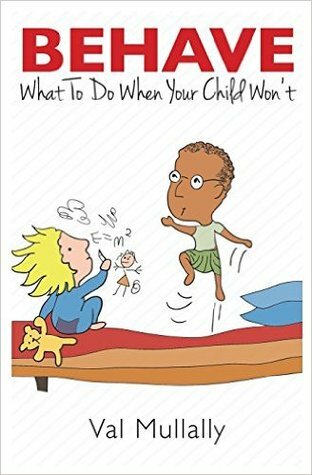 It focuses on the parents reaction (response) to the childs behaviour and explains steps from both the childs and the parents view. The "steps" (if you can call em that) get acronyms to make them more memorable and are described with little stories and exaples. The book is well structured, the chapters build on each other and it reads well. Good for parents is that it is short (only slightly more than 100 pages); but it still is complete. I like that it is honest in telling that getting better at parenting is not easy but requires work; and the sugestion to look for a learning-"buddy". I took the most benefit from the second half of the book (minus: the description of the competence model is a little too long - I think its pretty obvious from the names of the 4 stages; HALT desciption can be shorter, because it's more obvious - ensure the basic needs; SURE remains a little vague for me ... but that might be me and english not being my native language). Altogether I can thoroughly recommend the book; and will most likely reread passages to refocus. This book is a helpful, well written, concise wealth of information. The advice is based on years of the author's experience and research. As an American pediatrician who enjoys studying cross-cultural parenting, I note some cultural examples that are British / Irish in origin. (I won't state them here and spoil your analysis!) 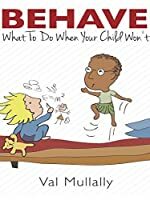 Delightfully easy to read and gives parents hope to solve the problem of perceived misbehaving. Read this book slowly! There is so much to absorb. It is not simply about "good" behaviour,though there is much excellent advice for those trying to do the most difficult jobs there is - being a parent. And the advice is realistic. Val Mullally knows how tricky raising children is. However, "Behave" is based on respect for children and their needs; not about slick ways of controlling them. The goal is a harmonious family where parents help their children grow into capable and confident people. I have read a couple of books and articles under the "Parenting' category and most of them speak the same. This book has some simple and effective ideas. Only once I bring them into practice will I know if they work or not. I won this book in a recent Goodreads First Reads giveaway. This book made interesting reading and one that I feel may help my daughter cope better with her young children. Recommended. Some very wise advice that will help both parents and kids. As a child psychologist, I will recommend this to many of the parents I see. Val Mullally is founder of Koemba Parenting. She is a Relationship Coach, Keynote Speaker, Parenting Author and Workshop Facilitator (offering face-to-face and online courses) . She is an experienced teacher, principal and trainer. S Val Mullally is founder of Koemba Parenting. She is a Relationship Coach, Keynote Speaker, Parenting Author and Workshop Facilitator (offering face-to-face and online courses) . She is an experienced teacher, principal and trainer. She lived for many years in Southern Africa, and now spends her time between North East England and County Cork, Ireland - two equally beautiful areas.